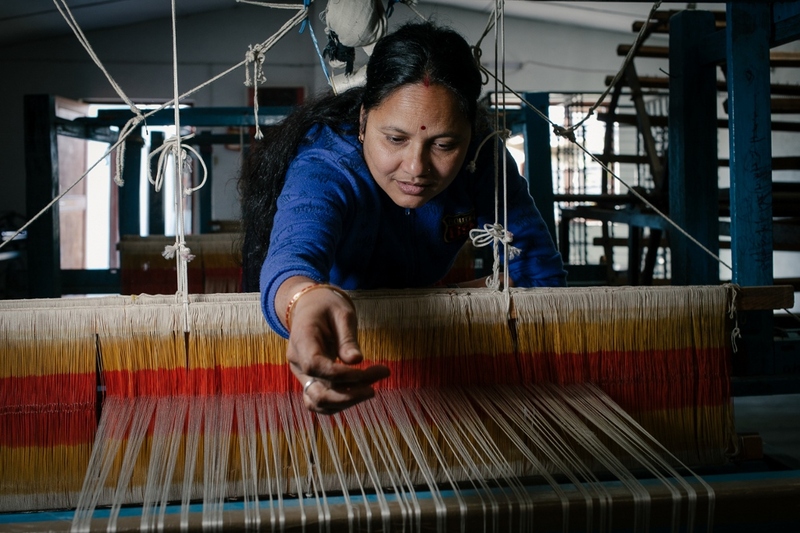 The Maheela Cooperative (Maheela = Nepali for woman) is a social enterprise, that provides women with training, jobs and fair working conditions. Any profits made by the cooperative are shared with the employees and used to fund WFN projects. The Maheela Cooperative employs 49 women and 5 men on a full-time basis and 31 women part-time. The women come from both the shelter home and the local neighborhood any many are victims of abuse, violence or poverty. The Maheela Cooperative was established in 2000 and produces beautiful scarves, textiles and necklaces. The Cooperative exports to wholesalers, mainly based in Australia, Canada, Europe, Japan and the US. Visitors in Nepal are welcome to visit the production center in Kathmandu (Boudha) and purchase our scarves and other gifts directly there. Have a look at our wonderful handicrafts. We are looking for retail and wholesale customers to become our Business Partners. See more photos of the production.